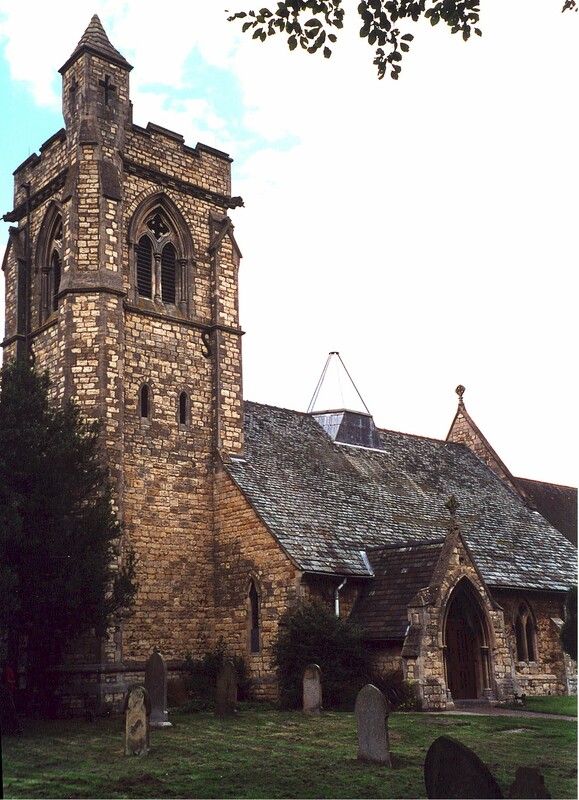 You can also perform a more selective search for churches in the Skellingthorpe area or see them printed on a map. The Anglican parish church is dedicated to St. Lawrence. The church was rebuilt in 1855. The Anglican parish register dates from 1563. We have a partial Parish Register Extract. Your contributions would be appreciated. The author of this page has been advised that the parish register in the Archives has been damaged by fire and is too fragile to access. The Lincolnshire FHS has published several marriage indexes and a burial index for the Graffoe Deanery to make your search easier. There was a chapel for Wesleyan Methodists in the parish, built in 1894 to seat 200. The Primitive Methodists also had a chapel here. For more on researching these chapel records, see our non-conformist religions page. Richard CROFT has a photograph of the Methodist Church on Geo-graph, taken in April, 2009. This village and parish lie just west of Lincoln in Lincolnshire, across the Fossdyke Navigation canal. Saxilby parish is to the north-west and the city and parish of Lincoln lies due east. The parish covers just over 6,200 acres and includes the hamlet of Swallow Beck. All railway service to Skellingthorpe ended in 1980. Take the A46 bypass (around the west side of Lincoln), take the Birchwood turnoff and head west to Skellington. Ask for a calculation of the distance from Skellingthorpe to another place. You can see the administrative areas in which Skellingthorpe has been placed at times in the past. Select one to see a link to a map of that particular area. Much of the land in the parish was reclaimed from a marshy state in 1835. The large reservoir for Lincoln Water Works was built in this parish. It covered 25 acres. Richard CROFT has a photograph of the Stone Arms P.H. on Geo-graph, taken in September, 2010. The Manor was bequeathed in 1693 to Christ's Hospital in London by H. STONE. Hartsholme Hall, a tudor style building, was built in 1862. In 1900 it was unoccupied. Skellingthorpe Hall was the residence and property of Richard C. BERGNE-COUPLAND in 1871. This secluded Georgian Manor House was built in 1811 to replace an earlier structure. Richard CROFT has a photograph of the War Memorial in the churchyard on Geo-graph, taken in September, 2005. RAF Skellingthorpe opened in October, 1941, and was initially home of 50 Squadron. Airfield construction was completed in November, 1941. In 1945, the airfield took over the job of salvaging crashed aircraft. The airfield closed in 1952. There is a museum to 50 and 51 Squadrons at the site (now the Birchwood Community Centre). Tony HIBBERD has a photograph of the WWII War Memorial on Geo-graph, taken in December, 2012. The parish boundaries and size have changed over time, so look in neighboring parishes for family history information. In the 1800s, the parish covered 6,220 acres. In 1921, it covered only 5,600 acres. The parish was in the Lower division of the ancient Boothby Graffoe Wapentake in the North Kesteven division of the county, in the parts of Kesteven. For today's governance, see the North Kesteven District Council. Skellingthorpe Village Office is on Lincoln Road, LN6 5UT. The Common Land was enclosed here around 1805. The poor of the parish had the interest from £100 left by Charles HAYWARD, a steward of Christ's Hospital. A Church of England Endowed School was built in 1856 and enlarged in 1899.